Examples, solution, videos, activities and worksheets to help ACT and SAT students review factors, divisibility tests and prime factorization. The following diagram shows how to find the factors of a number. 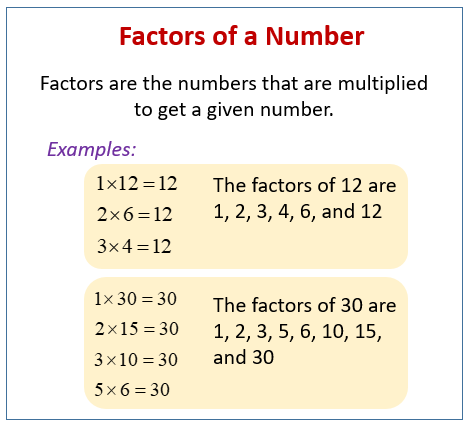 Scroll down the page for more examples and solutions to find the factors of a number.